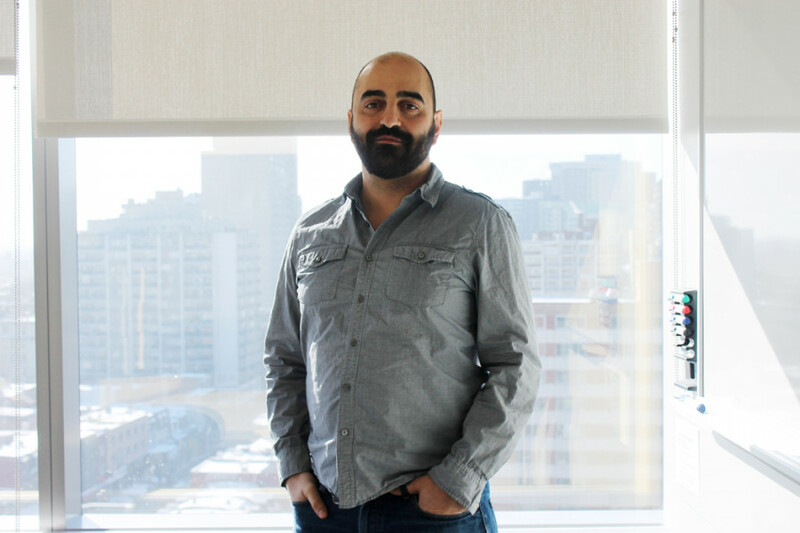 John Christou, 37, isn’t just raising money for a Syrian student to come study at Concordia, he’s helping pave the way for refugees by providing educational opportunities. “Aside from protesting or supporting our government doing violent things like dropping bombs or sending soldiers, providing education is the most useful thing we can do in Canada,” Christou said. Christou launched a crowdfunding campaign on Gofundme.com to help cover sponsorship costs for Syrian refugees at the Al Salam school in Turkey that have been selected to come study in Montreal by the Syrian Kids Foundation. He modeled his initiative after the university’s, which announced it will cover the costs of five Syrian student’s tuition chosen by the SKF. The crowdfund page was created on Jan. 9 and received multiple donations, raising over $1,000 in 12 days. It costs $12,062 to sponsor a refugee to come to Montreal, according to the Quebec government. That number covers basic living expenses. Christou hopes to raise the money by mid-February, and he’s confident he will reach his goal. Christou earned an undergraduate degree in creative writing, and is currently completing his executive MBA at Concordia. In addition to studying, he focuses his energy into film production. “I’ve run a couple of crowd funding pages before [for films that I’ve produced] so I know a little bit about how they work,” he said. Concordia’s Syrian Students’ Association put Christou in touch with the Montreal based organization, the SKF. Concordia students have been responsive to the drive for funding education. Christou said fellow classmates and his program director support his project, even though Concordia is not officially affiliated in the initiative. For some people, Syria is so remote that they feel as though they are powerless in helping. However, there are ways to help the refugees right at home, from clothing drives, to fundraising for living expenses and more. Many individuals have made great efforts to help Syrian refugees comfortably transition into Canadian life. “If you see the pictures and you read the articles—it’s a crime against humanity to let them go on like that without doing anything, without providing refuge,” said Concordia student Callum Pfohl. When Pfohl learned online about the opportunity to donate clothes and winter gear to local clothing centres for refugees, he initiated his own clothing drive to drop off at donation centers. Pfohl sat for hours in both the Grey Nun’s Residence lobby and the lobby of the MB building with a bag waiting to be filled and a sign. He gathered two large bags of clothing and a $70 donation to spend on food. These student-led initiatives demonstrate that individuals at Concordia are contributing to efforts, standing as the voice of a student body, eager to make a difference in our city and our nation.